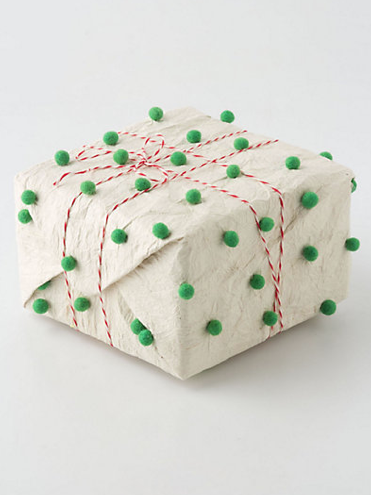 All of this fun pom pom wrapping paper from Anthropologie is out of stock. I am sure it was probably a little to spendy for my wrapping paper taste anyways, but some pom poms and bakers twine would be an easy way to dress up some kraft paper gift wrap this year. Especially if you already have them in your craft stash.